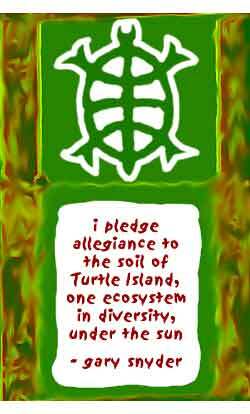 Lawrence London's EcoLandTech site is a great meta-link for permaculture-related topics. Permaculture resists easy capsule descriptions - it's a very broad subject, as much art as science, and the wisdom around it is growing very quickly indeed. A great launchboard for further online investigation. Plants for a Future out of England, is a database of over 7000 useful plants. The sheer richness of options involved means that its search engine can be a little intimidating at first. Some old hands consider it one of the most valuable eco-design resources on the web. A concise list of practical gardening tips. Dervied mostly from the knowhow of permies in and around Eugene, the plant focus is on the Pacific Northwestern bioregion. Includes a comprehensive Cascadia Forest Garden Plant List. Articles recently penned by members of the FNL collective point to some emerging trends. Food Not Lawns' The Weed Lover zine is our own effort to concentrate material from a variety of widely scattered sources, both domestic and international, that we've found useful in our own explorations. Check out a scan of our latest issue, titled The Water Lover, devoted to the subject of drought and water, and find out how to lay your hands on previous issues, too. We also distribute other literature and seed. We're happy for you to copy and share all our material in any way you see fit. Some of the most evolved gardening wisdom is either difficult to come by or hasn't made it into print yet; or talks about bioregions other than the one you're in. One of your best bets for developing a sense of what will work best for your own 'hood is to seek out local wisdom. Do you know of someone who gardens? The permie community, tho' fast-growing, is thin on the ground. If you don't have a local permie group, try starting one! You'll be surprised how quickly the knowhow gells. You might also consider subscribing to, or picking up back issues of The Permaculture Activist the de facto magazine of the movement. Permaculture: A Designer's Manual by B.C. Mollison. The Whole Earth Review said of this text: "If information had density, this book would be a black hole." If nothing else, give the Introduction a looksee. Gaia's Garden by Toby Hemenway. Reviewed in this site. The newest big synthesis of eco-design wisdom. The One-Straw Revolution by Masanobu Fukuoka. We consistently hear this text referred to as "the book that changed my life." Outlines the paradigm-shattering perspective of natural farming's granddaddy. Living Community by Ben Haggard. About his design and experience at Sol y Sombra, former home of Georgia O'Keeffe and now a ritzy permaculture site. Great for attitude adjustment and poetic philosophy. The Integral Urban House : Self-Reliant Living in the City by Farallones Institute. Superb data. 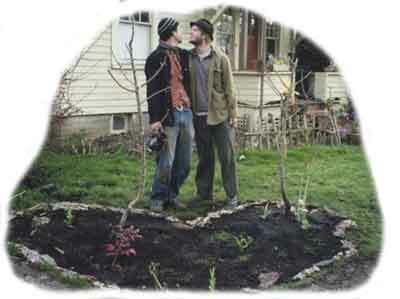 Designing and Maintaining Your Edible Landscape Naturally, by Robert Kourik. A great basic resource. Gardening for the Future of the Earth, by Howard-Yana Shapiro and John Harrisson. To quote Shapiro: "gardeners know a lot more about soil than laboratory scientists!" A comprehensive take on the broad spectrum of activities involved in organic gardening. Pretty, too. As you might expect, the most evolved horticultural work sits fundamentally at odds with mainstream thinking and budgets. One result: the individuals and organizations involved typically don't have the money for fancy literature and outreach programs. One area of deep horticultural wisdom that has tiny mindshare is the biodynamics scene. The situation is complicated by the fact that biodynamics, or "BD" as it is often referred to, can be a notoriously arcane art to get your head around. For one, even the introductory literature can seem dense and difficult to wade through - the concerns are quite profound, and some of the central texts have been translated from scholarly German, eeek. Interestingly, BD has long been associated with the agricultural (farming), as distinct from the permacultural (gardening) community. Food Not Lawns has been at the forefront of efforts to cross-pollinate the strengths of these two communities. Though very closely associated with the anthroposophical musings of Rudolph Steiner, a devout Christian, hip BD practitioners aren't remotely dogmatic: take what works for you, they'll say. Frankly, it ain't necessary to grok the BD rap to garden well, but it you're interested in learning more about the esoteric dimensions of playing in the dirt, the the BD community has been exploring this avenue for decades. The Stella Natura Kimberton Hills Agricultural Calendar is a great starting point for exploring BD. Observant farmers have always known that planetary cycles affect all aspects of plant life and the BD crowd are very attuned to this trip. This is perhaps the finest north american planting calendar (based on data from the U.S. Naval Observatory) and not only provides a concise and to-the-point introduction to this fascinating aspect of sidereal (or astronomical) astrology, it also contains a slew of brief articles on a wide variety of BD concerns. The book, Biodynamic Book of Moons by Dennis Klocek, makes a useful complement to the calendar, using verse, diagrams and woodcuts - all by the author - to paint an artful picture of this highly complex subject. Culture and Horticulture: A Philosophy of Gardening by Wolf D. Storl is often referred to as a definitive book on BD. Tough to digest, but arguably the best synthesis of gardening's evolutionary role that has yet appeared in print. Projective geometry fans might get off on The Plant Between Sun and Earth by George Adams and Olive Whicher. Not for the faint of heart. The Oregon Biodynamics Group has a small but excellent site with a short but comprehensive link list for exploring the web. Go Orygun! The basic factors of tending a garden are a metaphor for the root lessons of life. With gardening, we are going home, restoring our oneness with creation: as Dostoevsky puts it: "The world will be saved by Beauty." There's a great deal of literature exploring what ya might term the "larger" dimensions of gardening - many poets, philosophers and religious thinkers have written extensively around the subject. Michael Garofolo's Garden Inspiration has a large collection of quotes, one-liners and poems collected from a variety of literary sources and is a pleasure to spend time with. A good index of subjects makes searching easier. Peter Lamborn Wilson's long essay Avant Gardening, touches on some of the ontological wrinkles surrounding urban horticulture: "Does there exist a spiritual aspect not only to pure Capital (i.e. its tendency toward disembodiment) but also to the resistance against pure Capital? Would such spiritual resistance itself constitute a kind of re-embodiment, a spirituality of the material?" This essay was one of a series originally published in the book Avant Gardening, Autonomedia 1999. "The collards survived being run over by a car (they are in a bed right next to the street) and are holding up really well in the heat." 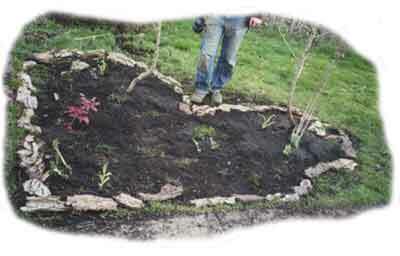 Efforts at "simple living" often incorporate a permaculture dimension. The Oscar Romero Catholic Worker House in Oklahoma City is a fascinating experiment in marrying social action among the urban poor, to avant-gardening technes. Check out the 2001 plant list and garden plan.